21" x 11" w dimensional steel clock. Runs on one AA battery and hangs with two picture hooks. Designed for interior use. Colors can be requested..Just give me a call or email me. 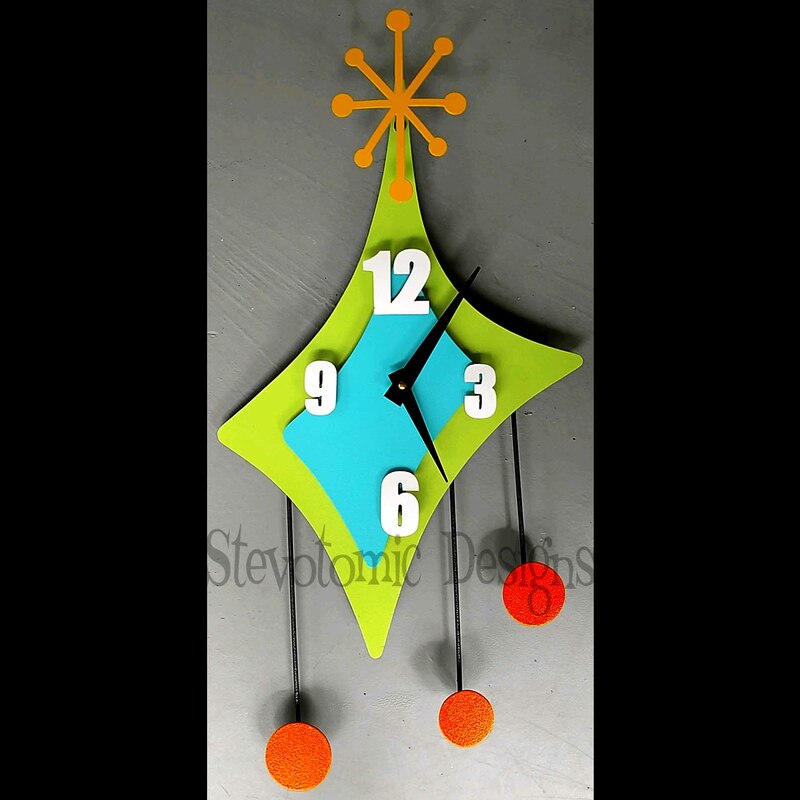 This one is shown with Key lime, turquoise, orange dots and light orange star.